Since I haven't been reviewing much, I don't get much to review. That's totally fine and in fact preferred as I don't want to waste anyone's review copies and I can get much of what I want at the library where I work. But occasionally a package comes my way, as with a little collection of 2014 boardbooks from Chronicle. Now I don't actively look for boardbooks or tend to review them, so let's call this a set of "reactions." Because it sounds less formal. I received both Numbers and Colors from the set, which also includes Sounds and Baby Animals. 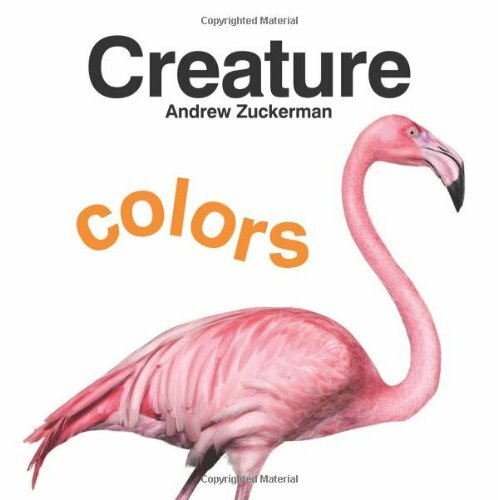 I am familiar with Andrew Zuckerman's photography of animals, and I love the idea of bringing his work into young hands. My nagging complaint about the set is that I wanted the pictures bigger. Partly because the books are small, meaning the pictures get smaller still. But also because I don't think babies are as invested in the concept that Zuckerman's work highlights the animals with plenty of white space. They just want to see the green frog. But you know these kids are going to get books of colors and numbers anyway, so it's a great idea to enhance the experience for both child and parent reader with some artistry. That you'll get. I received both the Ocean and Garden from the set, which also includes Safari and Farm. Boardbooks are pretty basic, so when someone comes up with any new idea, it's worth a mention. These books have a smaller book embedded within, so that you can turn the pages of the little book - which focuses on the baby - separately from the larger book. While obviously related, you could read each "book" alone. (Big book: "You sing a happy song in our leafy tree." 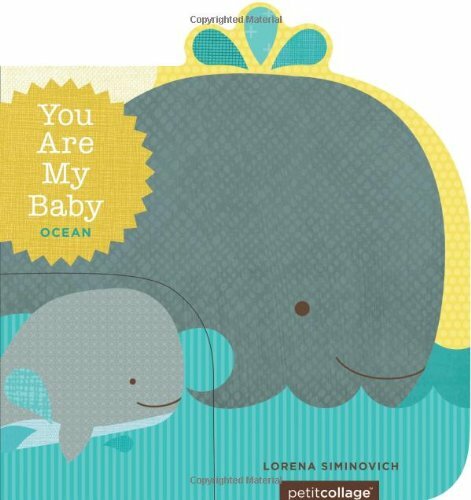 Little book: You are my baby, little hatchling.") The illustrations are cute, bright and friendly. I wonder how the book will hold up physically, but I also think it would be fun to share with a little reader. I shouldn't fault the concept - at least it's something different - but it got a little eyeroll out of me. I certainly can't fault the illustrations, which are cool in a retro, Charley Harper way. (Now you can roll your eyes.) But the text misses the mark. Overall it covers from market to meal, but not as cohesively as it could have. 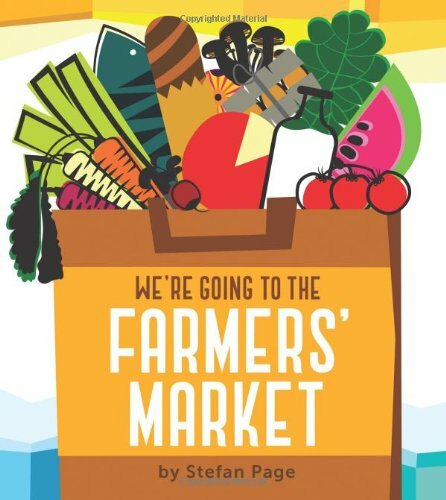 Parts of it go for the "to market, to market" rhythm, but not all. Parts of it detail the foods, but not all. Maybe it seems picky, but I want a boardbook to have internal consistency, whether it's with story, rhythm, or learning concept. But hey, if you need a gift book for the hipster parents in your circle, this is perfect. This is one of the books where you can turn the bottom pages separately to mix up the tops and legs of the creatures. I'm sure that lots of parents and kids love this idea. It. Freaks. Me. Out. I'll admit that I have a low creep-out threshold, but this is the kind of book that would have given me bad dreams. ("Daddy has spider legs!") But look, I like this author (see below) and her illustration style. 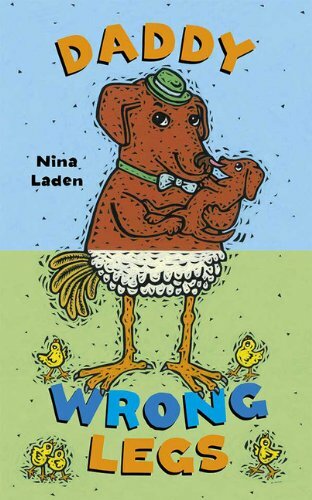 So for those who like the concept of funny animals and people with the wrong legs, here's your book. I consider myself an explorer of the new and different, but it was the most traditional boardbook of the bunch that won me over. Very simple in concept, with the words "Peek a" on one page facing a page with a hole through which you can guess at the animal behind. Thus the black and orange stripes turn to a tiger, where now "Peek a" is viewed through the hole and added the word "MEW!" So simple, but a nice twist on traditional Peek-a-boo. The whole thing ends with a mirrored page for "Peek a YOU, TOO!" The fun illustrations have a woodblock-print look to them, and feature lots of bright colors from a secondary pallate of purple, orange, turquoise and pink. Also a nice size for little hands. This is one I'll recommend to my library system, especially for mother/baby program kits.